The plane "that built Queenstown'' and is now lying derelict in Bangladesh might be brought back to the Lakes District. Mt Cook Airlines' Hawker Siddeley 748 ZK-CWJ has been added to the shopping list of the group trying to retrieve and restore the passenger aircraft from New Zealand's aviation past. The 51-year-old twin turbo prop, 50-seat airliner is owned by Bismallah Airlines but Paul Brennan, of the Bring Our Birds Home group, said yesterday the airline seemed keen to negotiate a sale. He considered the aircraft responsible for the development of Queenstown's tourism industry. Mr Brennan said the aircraft was "not worth very much'' in its present condition. 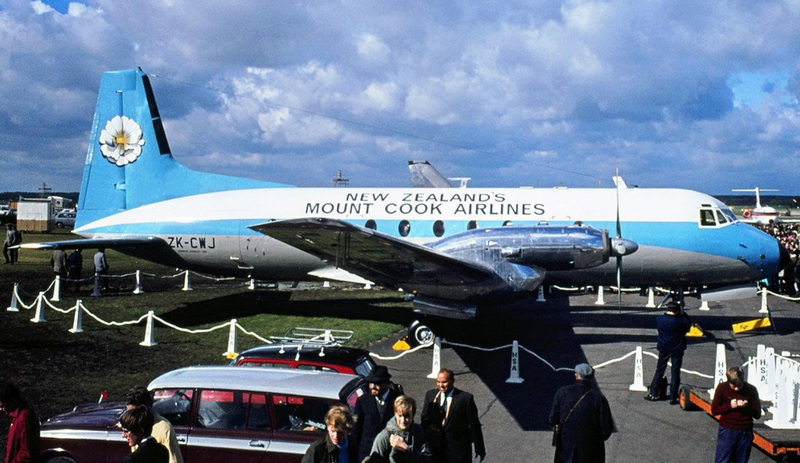 Before the plane was delivered to New Zealand in 1968, it flew, in Mt Cook colours, at the Farnborough Airshow in Britain but most of its 66,000 flights were made in New Zealand. As the Bangladesh airline had spares for the plane, Mr Brennan believed it might be possible to fly it back to New Zealand. "It's missing a rudder, it probably needs some work on the engines ... everything's affected by long storage. Mr Brennan said he had also "done a deal'' with the Cuban government to secure a former Air New Zealand DC10 now parked at Havana Airport where it is used for training firefighters and anti-terrorism police. "All I have to do is to find an aircraft that is about to be scrapped and instead of having it flown to the desert to be munched up, fly it to Havana. "And then we can swap it with the DC 10.